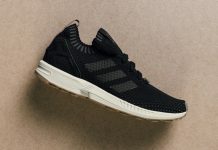 The adidas ZX Flux is beginning to release its latest reworked version known as the Plus and the latest release to become available is this “Triple Black” colorway. 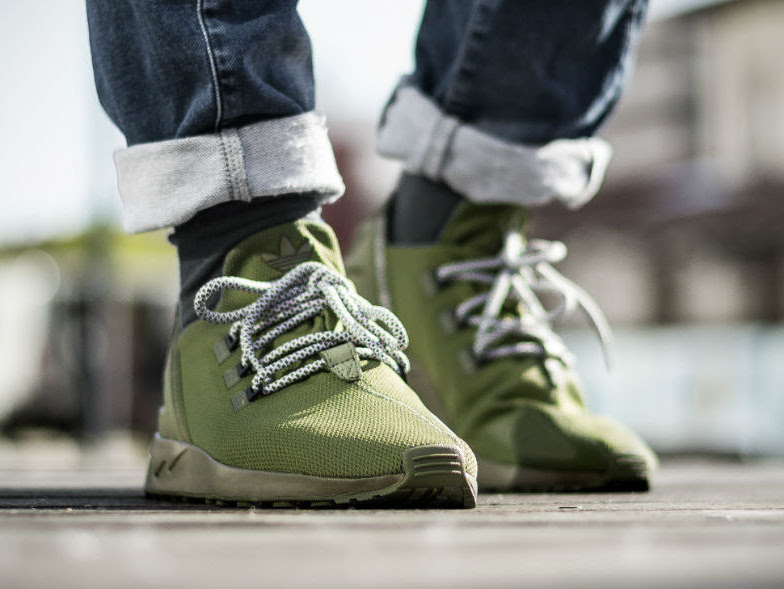 Having a classic build as the ZX 8000 that features a sleeve styled Ariaprene upper that sits atop an 80s Torsion infused sole. Other details include a leather heel panel for added support. 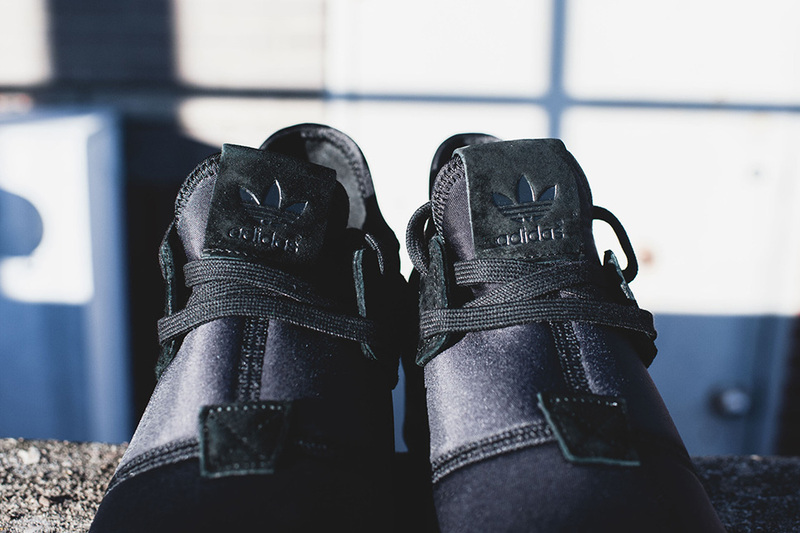 The release is fully dressed in all-Black from the tongue to the sole. 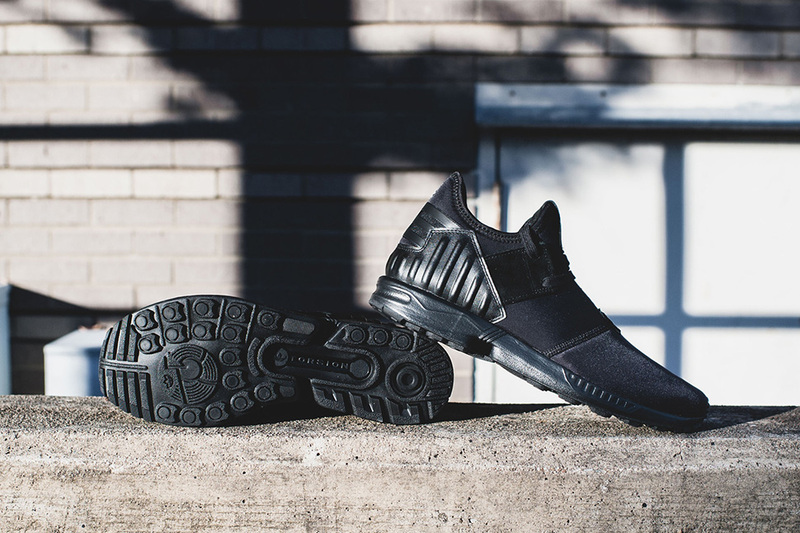 Check out the additional images below and look for the adidas ZX Flux Plus “Triple Black” available now at select adidas Originals retail stores, including Rock City Kicks. The retail price tag is set at $110 USD.